PlaySports offers a PE Supply Cover service to Primary Schools across South Wales. 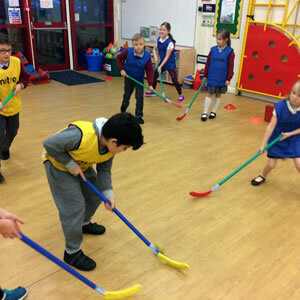 We specialise in providing cover to students in school years 1 to 6, making the learning objectives of our sessions fun and inclusive for everyone involved. Our coaches are available whenever you might need them from Monday to Friday during term-time and can offer our services in single, double or full-day cover blocks, where we are able to deliver a wide range of sports activities in line with the Key Stage 1 & 2 National Curriculum for children of all ages and abilities. Whether it's a one off session or a years worth of supply cover, we are here to support your school.